FACT: On 21 September 1613, Michelangelo Buonarroti the Younger signed off on his draft of L'Ebreo / The Jew. (1) The playwright was evidently working for the Carnival season in early 1614 - probably planning a production at the Medici Court. (2) At that very time, Jews and Jewish affairs were a hot topic in Florence, due to the recent arrival of rich and exotic Levantine merchants. Can we bring L'Ebreo / The Jew closer to home - nearer to Michelangelo Buonarroti the Younger's (1) personal life and (2) professional concerns? The answer - on both counts - is a resounding YES! Let's begin with Michelangelo's professional concerns - and specifically, his relationship with competing dramatists at that very time. 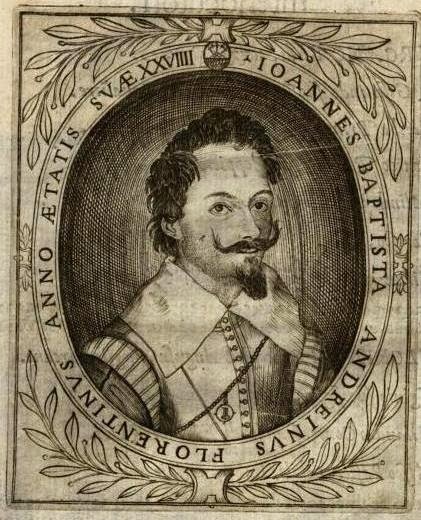 Most notably, Giovan Battista Andreini - then at the Gonzaga Court in Mantua. There was a lot of theatrical activity in Italy in those years - but only so much room at the top. At the princely courts with their rich opportunities for patronage, social prestige and access to unrivaled technical resources - including the best actors, the most accomplished musicians and the most skilled designers and engineers. Not to mention the most illustrious, influential and knowledgeable audiences. A panoramic view of the Palace Quarter in Mantua, the chief seat of the Gonzaga Court. In the theatrical sphere, the Gonzaga Dukes of Mantua were the chief rivals of the Medici Grand Dukes of Tuscany. But friendly rivals, since the two families were intermarried and often shared actors, singers, musicians and playwrights for their grander entertainments. Circa 1580, probably the Compagnia dei Gelosi in France, starring Isabella Andreini. When it came to theatrical celebrity, the Andreini dynasty of actor-managers was in a class of their own. With their legendary Compagnia dei Gelosi (Company of the Jealous), Francesco and Isabella Andreini brought the Italian Commedia dell'Arte to France and the French Court. Isabella Andreini was the most sensational actress of her day and an esteemed poetess, at a time when women-on-stage were still a social novelty. 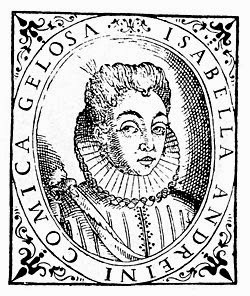 And after Isabella's death in Lyon in 1604, her company was reconstituted in Mantua as the Compagnia dei Fedeli (Company of the Faithful) - under the direction of her son Giovan Battista. Like most actors, Giovan Battista spent much of his life on the road - but he had been born in Florence and he identified himself as a Florentine. Like Michelangelo Buonarroti the Younger, that is to say. featuring an image of "the little slave", dark-skinned with his/her slave collar. 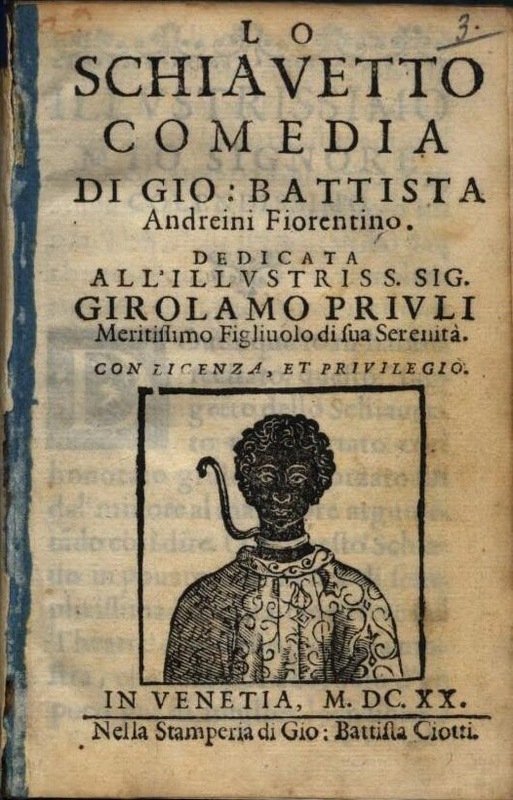 In 1612, Andreini scored a break-away hit, Lo Schiavetto (The Little Slave) - playing to enthusiastic audiences in Mantua and then elsewhere. In ten years, it ran through four printed editions (two in 1612, then two more in 1620 and 1621). Lo Schiavetto's popular acclaim is a bit of a head-scratcher for us today. In literary terms, it seems a shambolic mess - a disjointed revenge comedy about a noblewoman who disguises herself as a male slave from the East in order to hunt down the perfidious lover who betrayed her. In Commedia dell'Arte terms, however, Lo Schiavetto offers a vivid succession of rambunctious scenes - giving the actors ample scope to realize the horseplay, sight gags and theatrical business that defined their craft. Andreini's chief dramatic tour de force comes in the Second Act. 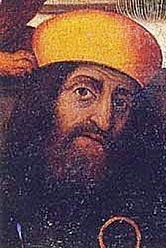 He briefly briefly fills the stage with Jews and would-be Jews - creating a grotesque chorus of four "real Jews": Sensale ("broker or middleman"), Leon ("Lion of Judah"), Cain (accursed slayer of Abel) and Scemoel (near to Shmuel or Samuel - but with a play on the Italian scemo = "idiot"). 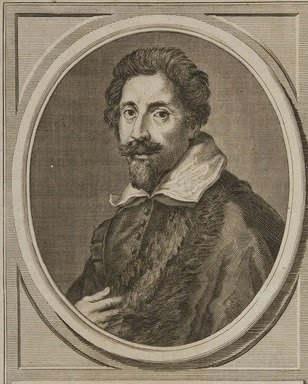 Andreini gave Fulgenzio one of the more memorable entrance lines in the Italian dramatic canon. *Did Andreini have a particular poet in mind? Love makes us all crazy? The playwright included a list of costumes and stage properties - helping us visualize his concept. with beard and hat for Sensale. The Jewish shtick in Lo Schiavetto extends first to wordplay and then crazy babbling in both real and imagined Israelite dialects. Finally, the Christians turn on the four Jews and beat them silly. Because Jews are Jews - enough said? - and the Second Act needed a rousing conclusion. 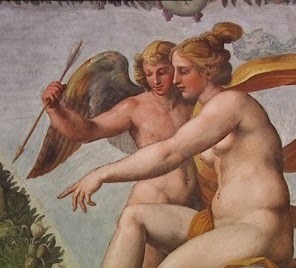 The stage success of Lo Schiavetto and its enthusiastic publication (twice in 1612) certainly helped focus Michelangelo Buonarroti the Younger on Jewish themes. But what else can we do to put Michelangelo and Jews in the same frame - at that very time?